Inspired by Aesop’s classic tales, and with the animals and plants of the Caribbean as its cast of characters, this new book by best-selling author Mario Picayo follows the traditional fable form while adding new and amusing twists to the moral-teaching stories. 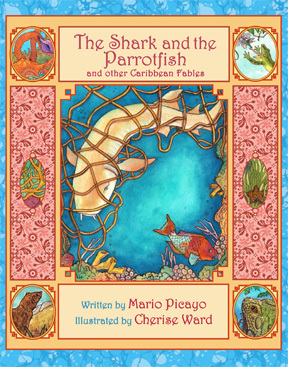 Gorgeously illustrated by Barbadian artist Cherise Ward, The Shark and the Parrotfish and Other Caribbean Fables promises to delight readers of all ages. The book was published in Cuba in 2014 by Editorial Gente Nueva as El Tiburón y el Pez Loro y Otras Fábulas Caribeñas.